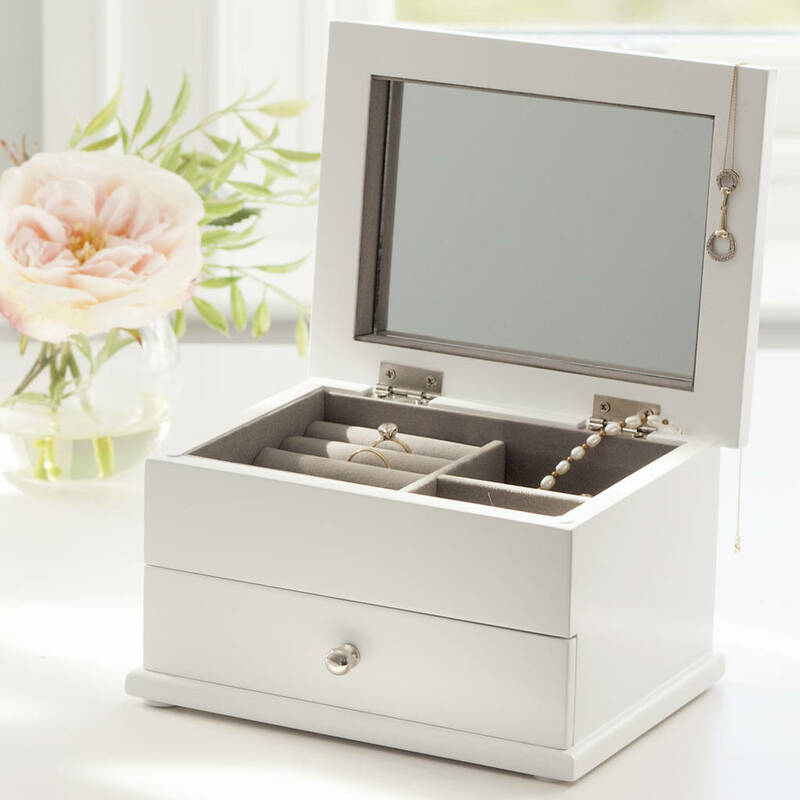 An elegant white wooden jewellery box with polished nickel fittings. 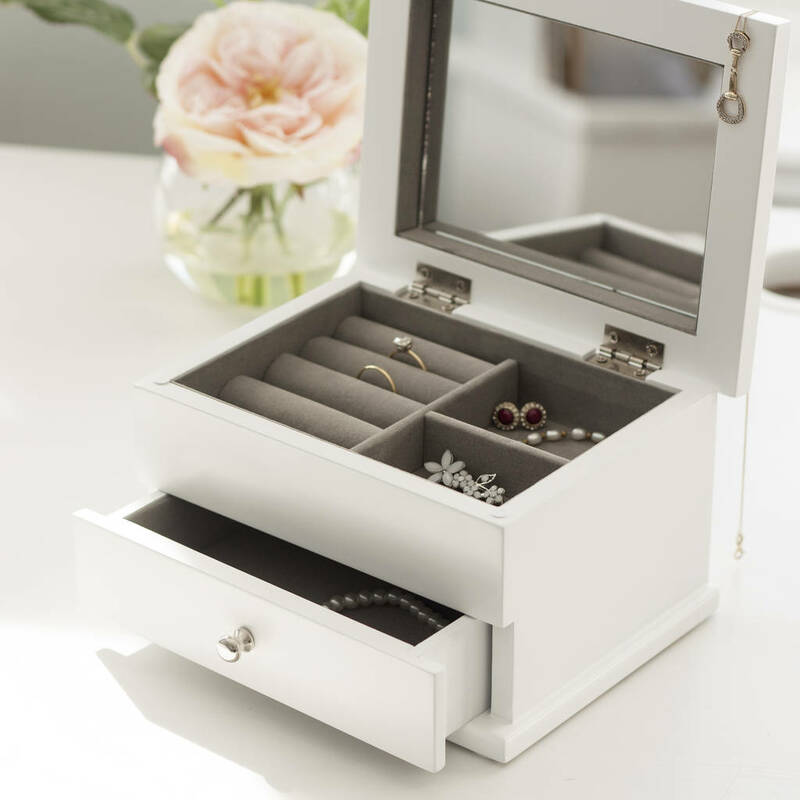 A clean and fresh jewellery storage solution suitable for a variety of interiors. 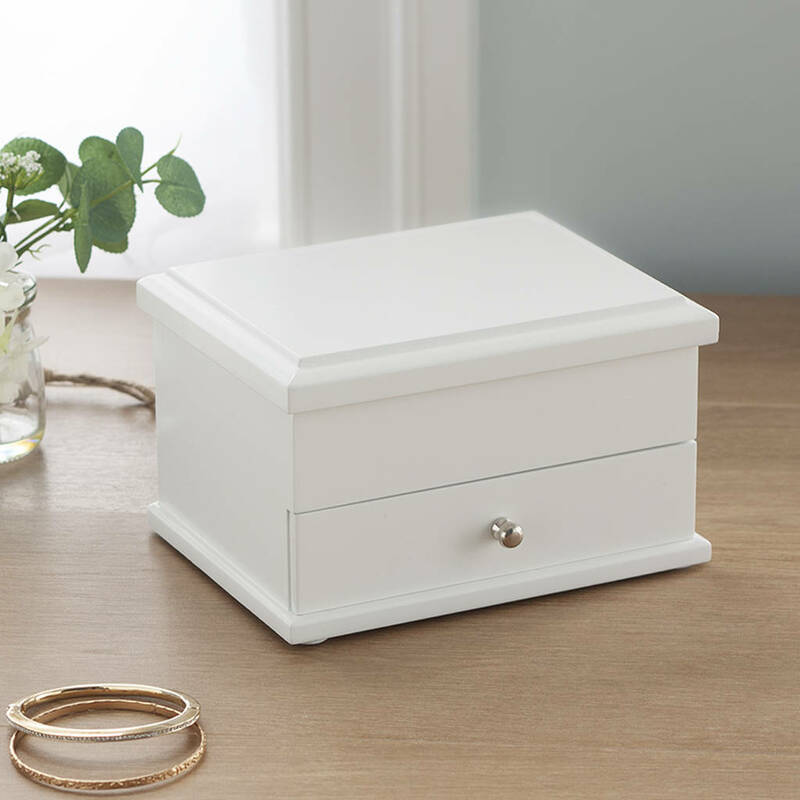 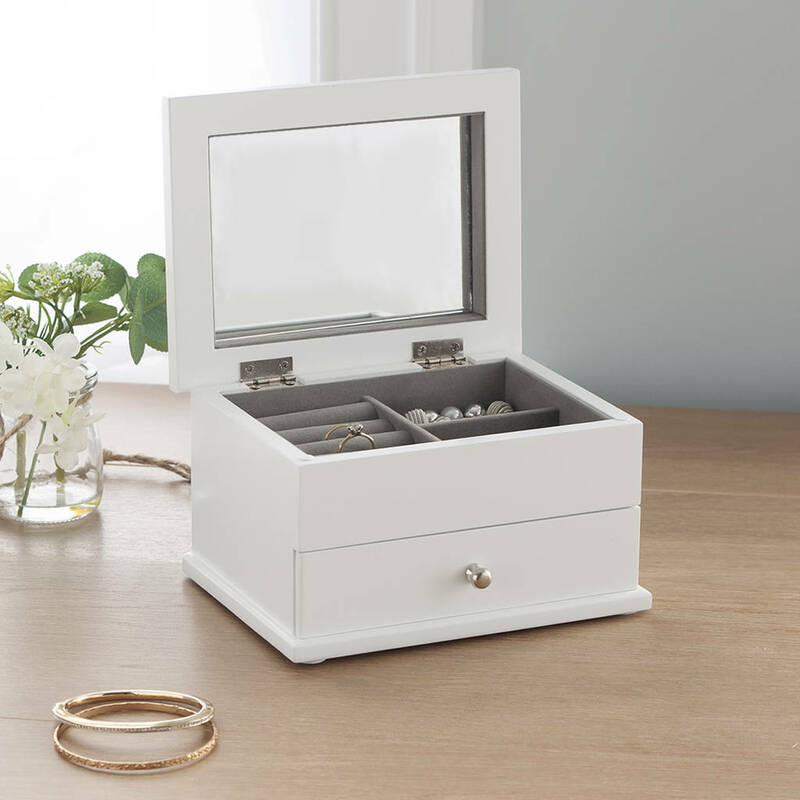 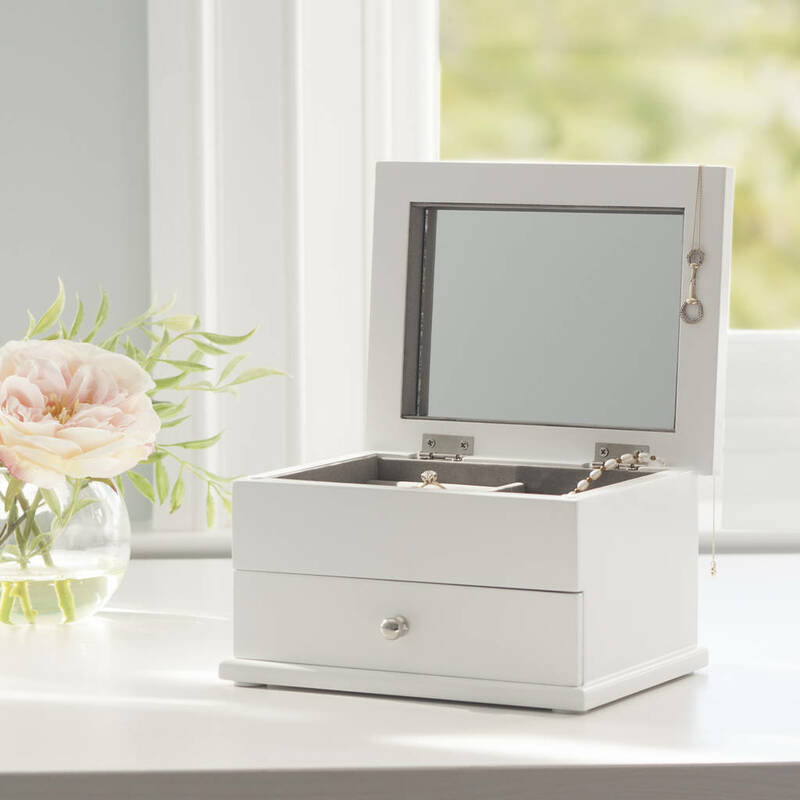 Beautifully crafted from wood, this stylish white jewellery box has timeless appeal and will keep your dressing table looking neat and tidy whilst safeguarding your jewellery collection. 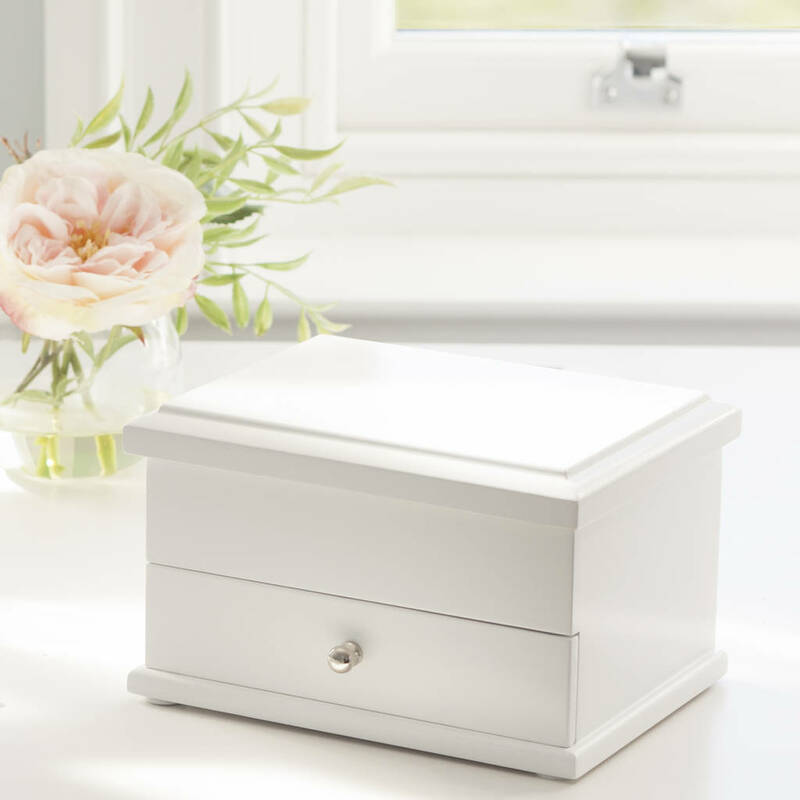 Our white wooden jewellery box has been carved with delicate details on the outside and features a full drawer at the bottom. 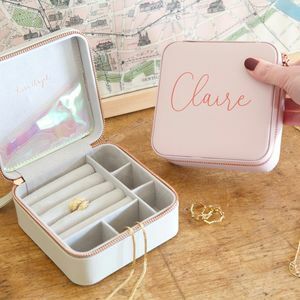 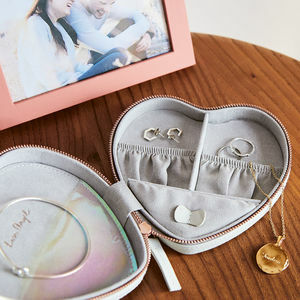 The lid opens to reveal one main section with three compartments; two smaller open compartments and one larger compartment with a set of ring rolls. 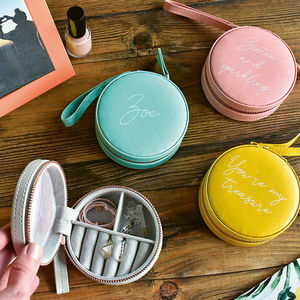 You will also find a full mirror to the inner side of the lid. 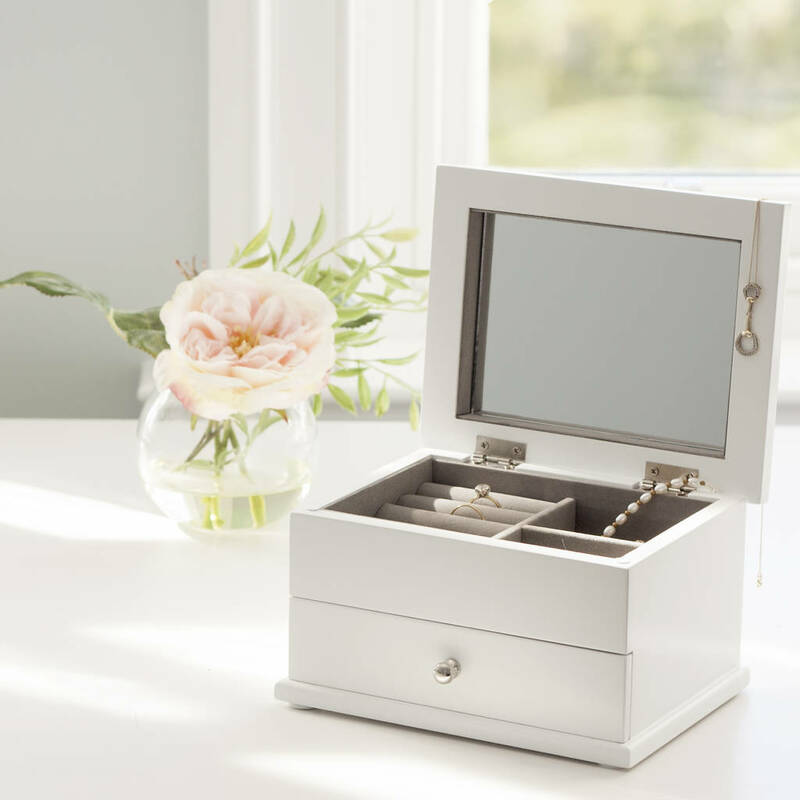 It has also been fully lined in a luxury grey velveteen fabric and is ideal for delicate pieces of jewellery. 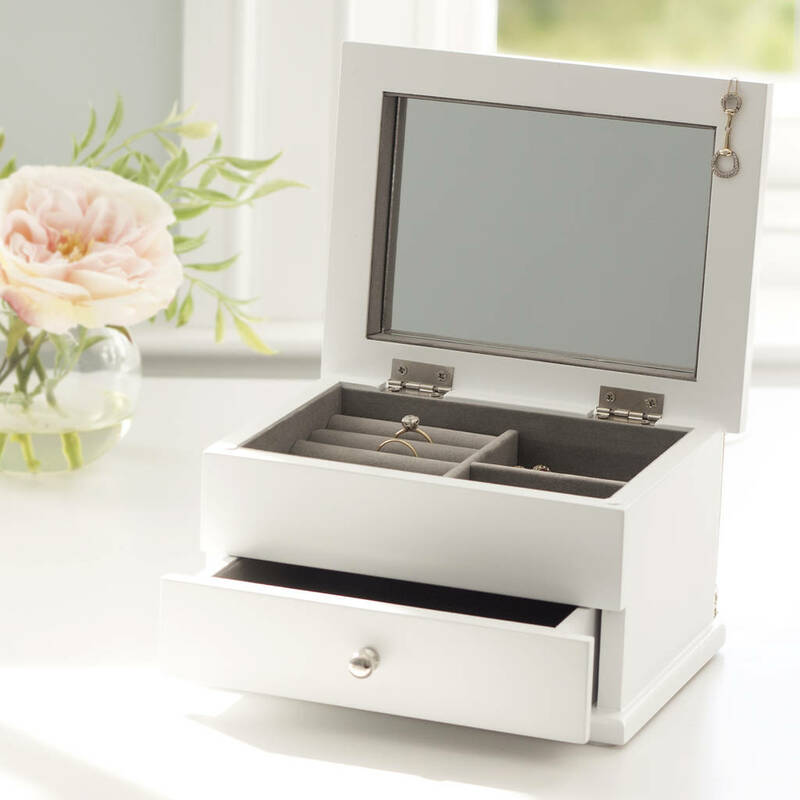 This white wooden jewellery box would make an ideal Christmas, wedding or special birthday gift. 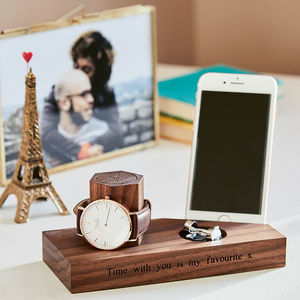 This product is dispatched to you by Jodie Byrne.